IBIS One Central Dubai - 5 Best Malls in Dubai! 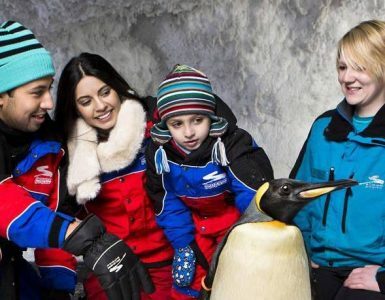 IBIS One Central Dubai - 3 stars hotel - 5 Best Malls in Dubai! If there’s any city in the world that takes shopping malls seriously, it’s Dubai. 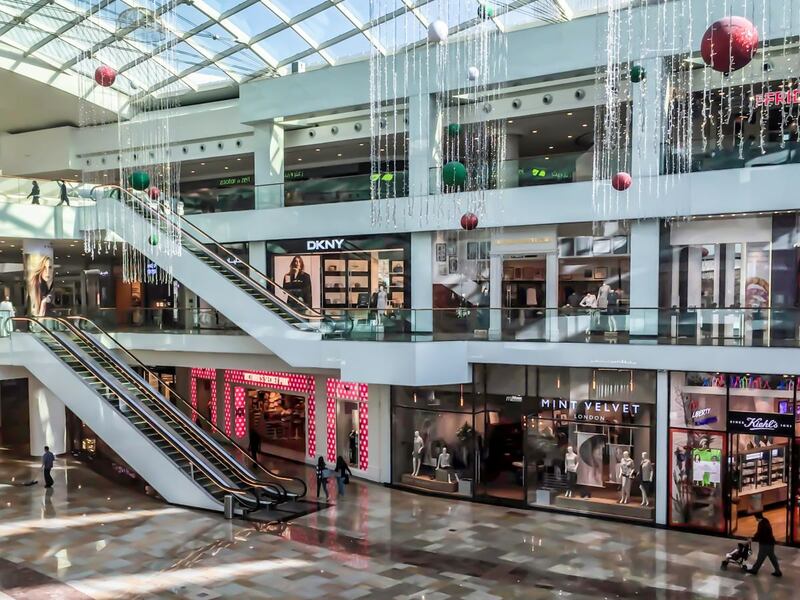 Not only do global brands flock to this retail capital, but shoppers from all over the Middle East and beyond come to Dubai to appreciate the grandiosity and beauty of its shopping centers. 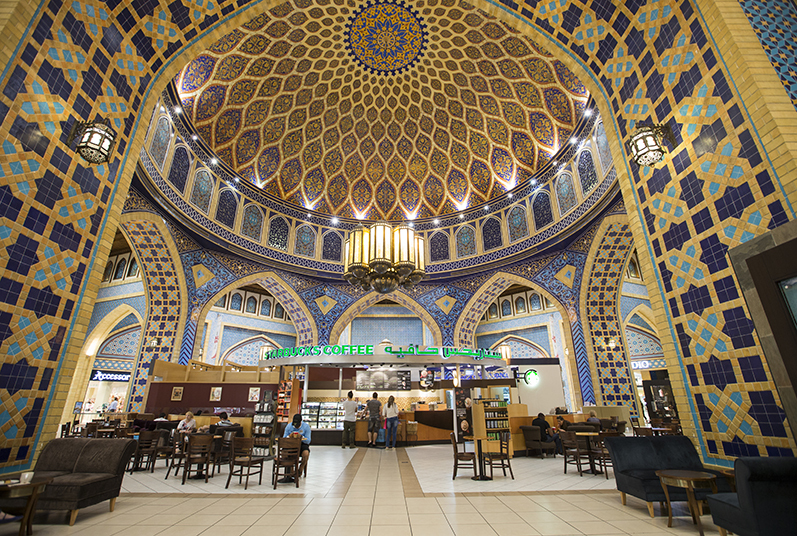 Inspired by the Moroccan explorer Ibn Battuta, the Ibn Battuta Mall is considered the largest themed mall in the world. Shopping becomes an adventure here, with six distinct retail courts waiting to be discovered and explored. 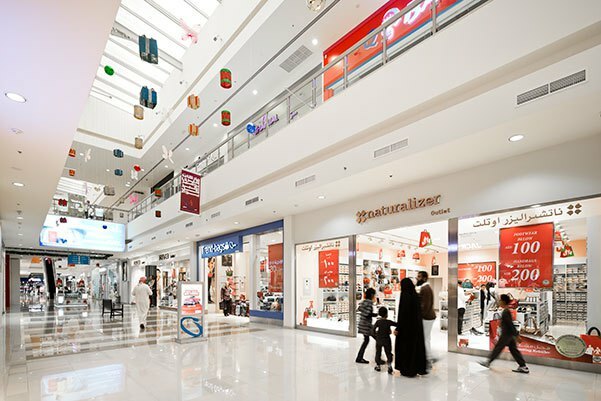 Anchor stores include Debenhams, Geant, Marks & Spencer, Sharaf DG, and Decathlon. HOW TO GET THERE FROM IBIS ONE CENTRAL: Via the metro red line (World Trade Centre – Ibn Battuta Mall station). The hotel is within walking distance from World Trade Centre station. Opened in 2007. This mall – with brands such as Coach and Fred Perry – houses approximately 240 stores, all with up to 90 percent off. Bear in mind, though, that little is from the current season. 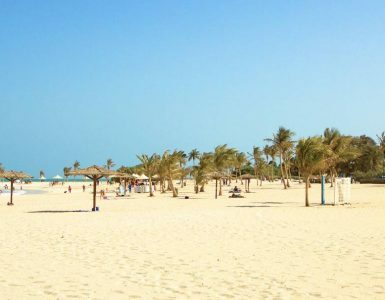 Driving away from the skyscrapers and towards the barren land for around 30 minutes will pay off as, like a mirage, the Dubai Outlet Mall will appear before you: a huge warehouse, housing over 800 of the world’s top fashion brands, celebrated perfumes and one-off gems. As long as you’re not too proud to wear last season’s goods, you’ll have an absolute field day here. There’s a Chuck E Cheese to keep the family entertained too. HOW TO GET THERE FROM IBIS ONE CENTRAL: Shuttle service is ON US! 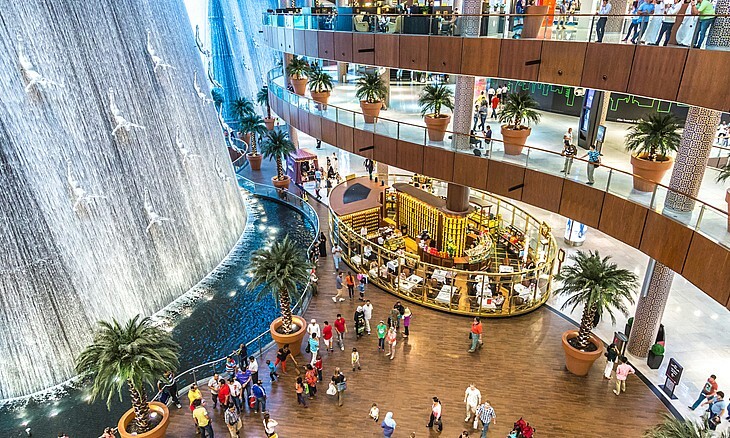 One of the largest malls in Dubai with 205,000 square meters and undergoing a Dhs1.5billion expansion, its size is equivalent to a football pitch. There are plans to increase the place – which is the only mall located on the banks of the historic creek – to 230,000 square meters with 420 outlets. Right now shoppers head there for Ikea, the largest Aldo store on the planet and the only Mint Velvet outside the UK. It’s the go-to choice for people staying at the Intercontinental Hotel and Crowne Plaza which it is attached to. This retail haven – which includes a Fashion Dome – houses plenty of global high street shops such as Zara, Top Shop, and H&M. There are also bookshops and banks, department stores like Harvey Nichols and Debenhams plus a large Carrefour supermarket. Beauty lovers can treat themselves to some TLC at Sisters Beauty Lounge. 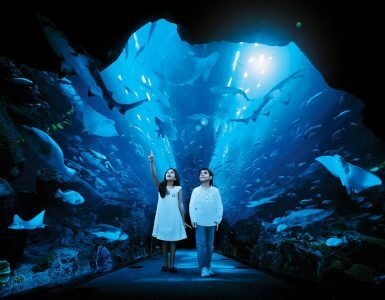 Dubai Mall is an exceptionally vast retail, leisure, and entertainment space right in the heart of downtown Dubai. It’s the world’s largest and most visited shopping mall, with a total internal floor area of 5.9 million square feet. In 2014, more than 80 million visitors shopped at the mall’s 1,200+ retail stores. Flagship brands include Alexander McQueen, Valentino, Gucci, Chanel and Ralph Lauren.